The Foodie Monster! 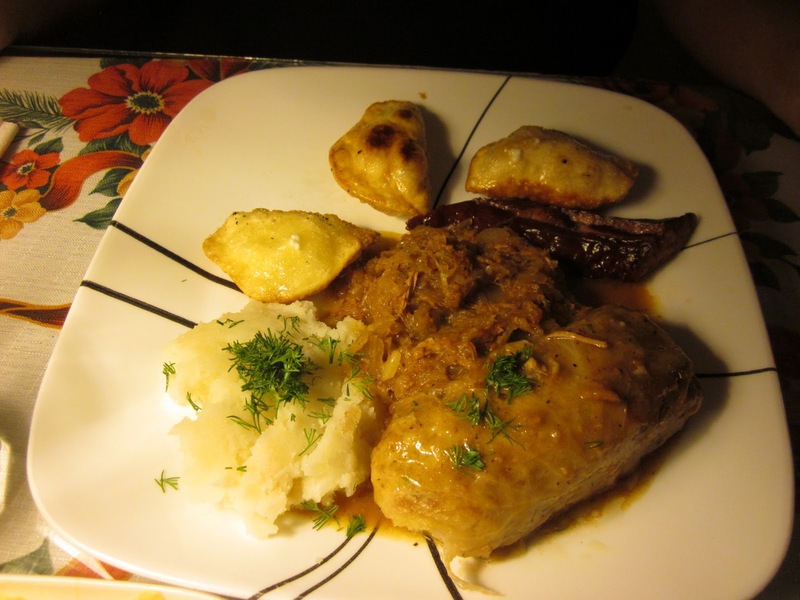 : Lomzynianka...Cheap Polish Goodness in Brooklyn! Lomzynianka...Cheap Polish Goodness in Brooklyn! Lomzynianka is a quaint little Polish restaurant nestled in the Greenpoint section of Brooklyn on Manhattan Ave. Polish and Eastern European food in general always hits the spot for me since I enjoy simple homey comfort food, especially when it's this cold out! 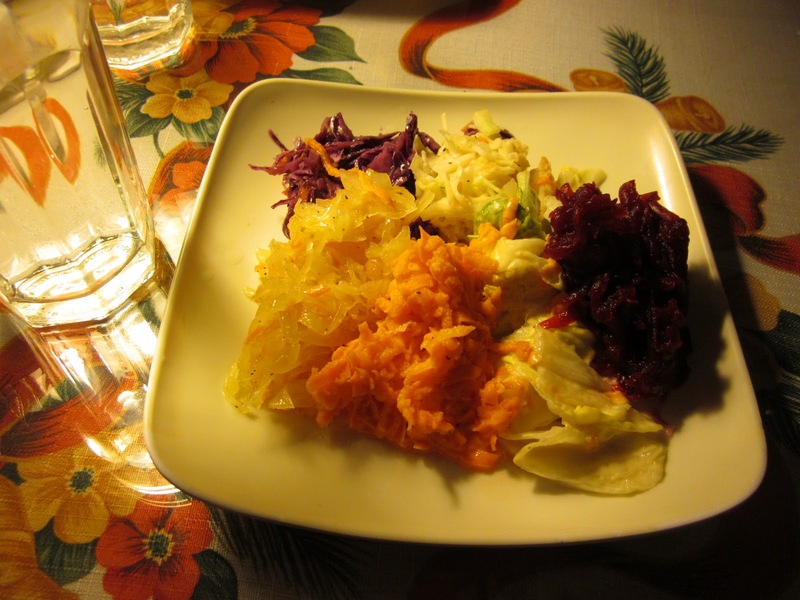 With each entrée you get a generous starter with salad, mixed red and cabbage, and pickled carrots! Everything on the menu is less than $10, with the priciest item being the Combo platter pictured below, which is still a reasonable $9.50. It comes with stuffed cabbage, bigos (stewed meats and sauerkraut), 3 different fried pierogies, kielbasa, and potatoes...not bad huh! 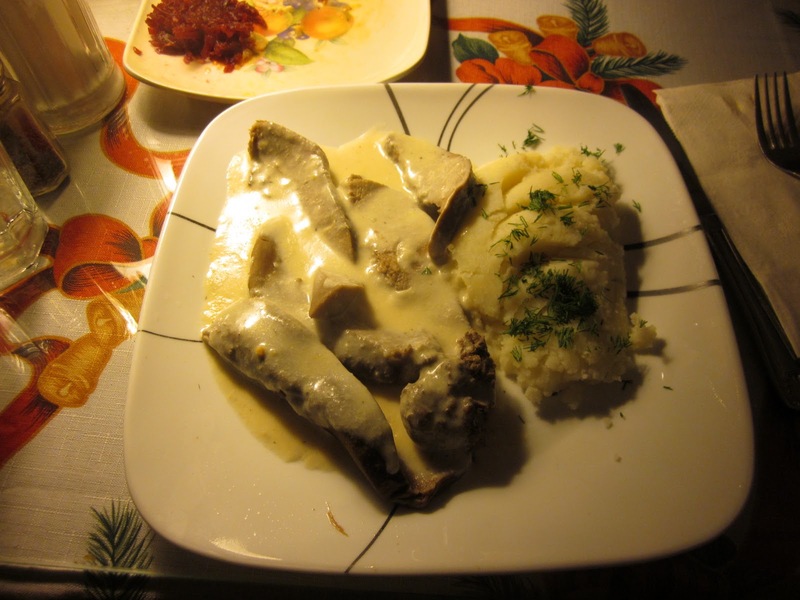 For the more adventurous eater, you can also try the stewed ox tongues in horseradish sauce. The tongues were cooked well and tender, but the sauce wasn't quite horseradish-y enough. I'll have to try the borscht here next time as well. Another table ordered the white borscht, and it looked yummy as well. Here's a link to more user pictures on Yelp.